2533 State St, Carlsbad, CA 92008 (#190003824) :: Neuman & Neuman Real Estate Inc.
PRICE REDUCED! Value Range offered at $1,095,000 -$1,135,000 Location is key when buying real estate. 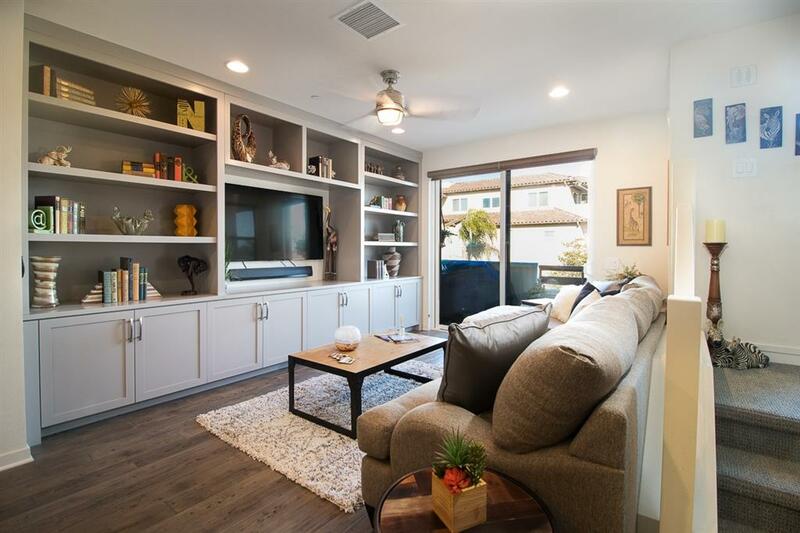 This gorgeous contemporary newer townhouse/condo puts you within a short walk to the beach, charming shops, restaurants & entertainment venues of Carlsbad Village. When the ocean calls grab your towel and board & head to the local surf spots or walk along the shore. At the end of your perfect day, grab a glass of wine & watch magnificent sunsets from your private rooftop deck with ocean & lagoon views. 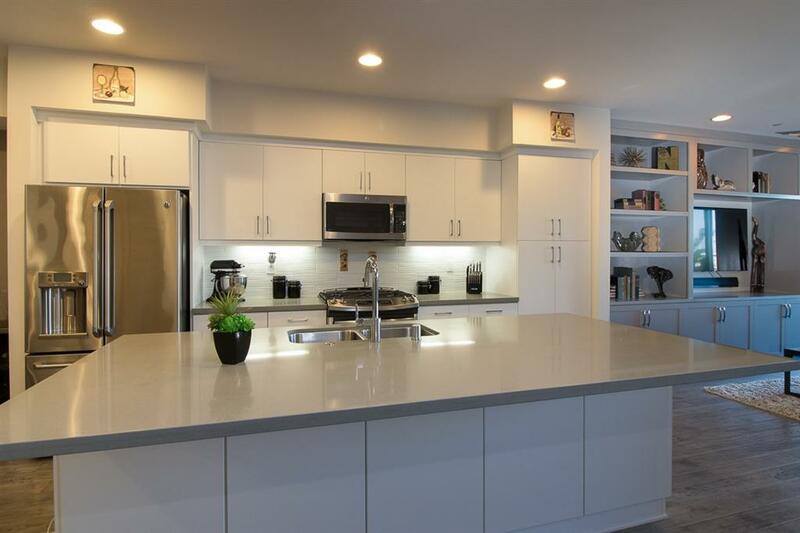 This gorgeous home has many upgrades including hardwood flooring & wood grain ceramic flooring. 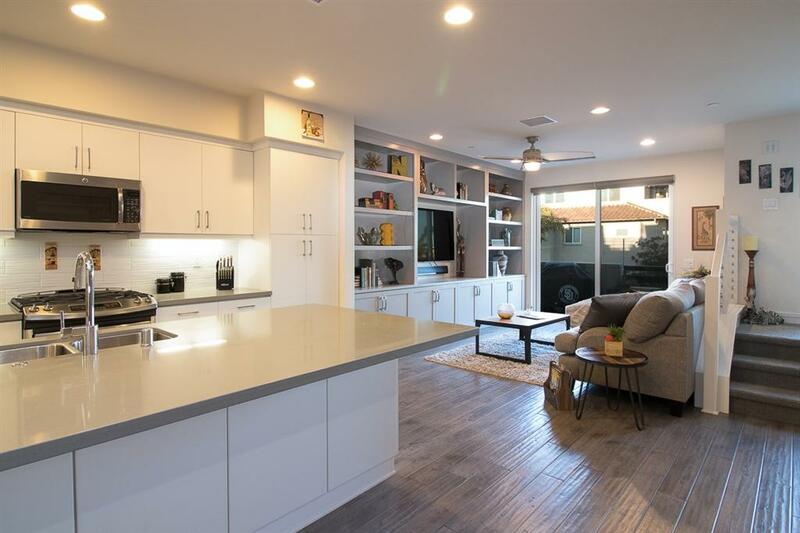 The second level has a beautiful contemporary kitchen with counter depth refrigerator, light gray corian counter tops, large center island, with plenty of seating, perfect for entertaining. 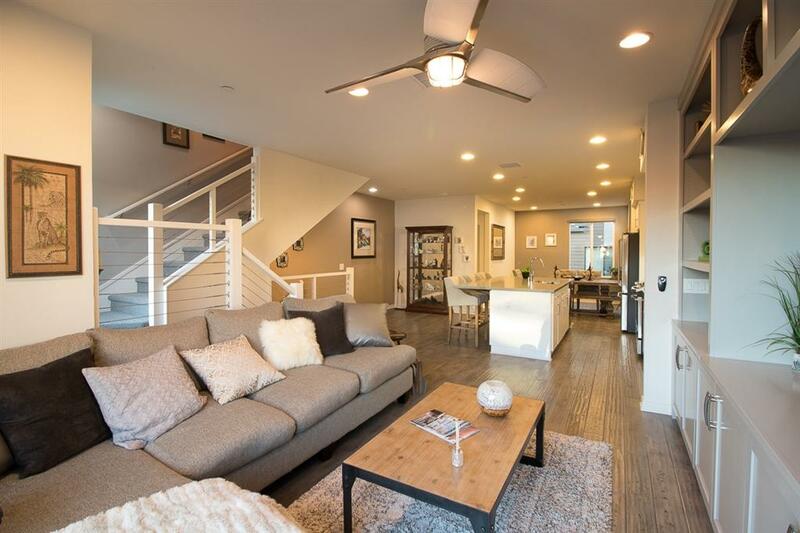 The living room boast high end custom built in cabinetry and high ceilings through out. The master bedroom has views to the east, a ceiling fan and a beautiful en-suite. Second bedroom has large closet and en-suite, basically creating dual master bedrooms. Laundry closet is conveniently located on the same floor with full size stacked washer and dryer which are included. There is plenty of storage though out the home. This condo unit is zoned "Restricted Commercial" meaning the first floor entry room can be used as a small professional business (with restrictions and owner occupied resident). It could also be used for den, office, exercise, yoga, man cave, she room, bonus room etc. and has a half bath. The 2 car garage entry to home is on the first level. It is finished with 4 ceiling racks and tank-less water heater. The rooftop deck is the perfect place for entertaining, relaxing and watching magnificent sunsets with views of the ocean and lagoon.